This week’s Top Ten was not as easy as I thought it would be. I have been around books my whole life, after all, so simple, right? My parents liked to read, and they had one of those leather-bound sets of the classics that were displayed in the top of a hutch. We lived close enough to the library that I could ride my bike there, so I just about always had a stack of books in my room. In those days, we could only check out six books at a time. I would put them on my bed and just dig in. I am a fast reader, so it wouldn’t take me long to knock out a stack of six. 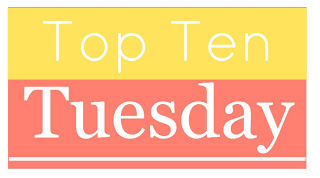 But to pick my top ten book-related moments? I guess I will just wing it and do more of a “Ten Things That Popped Into My Head First” sort of list. They are sort of in chronological order. Learning to Read. Just like Jeff Bezos, I attended a Montessori school when I was a kid. In fact, both of my parents were Montessori teachers. So maybe that’s why I started reading when I was three. Have to give a shout out to the Alphabet, too. And Gutenberg. Discovering Pride and Prejudice. While the first version brought to my attention was not in book form but on Masterpiece Theater, it did lead me to read the book because I missed the last couple of episodes. I think I would have missed out on the book if I had seen the show in its entirety. Ironic? Thank you, PBS/KERA. Working at Taylors Bookstore. In high school, I started working at a local bookstore that had just built this huge place that was absolutely stuffed full of books. Best thing: they would let us check out any book to read at home! Even when I went off to college, they would hire me back during breaks. Heck, I even got to help Phyllis Diller during a book signing, as well as the middle Mandrell sister. Treasures From the Castle. I really thought that I was going to do something with children’s books in the future. I loved to read and recommend them, so soon I was collecting them. This was BI (Before Internet), so somehow, my mom found a woman in Michigan who bought and sold children’s books. I started buying first editions of the Newbery and Caldecott Award winners from her, as well as some books that I remembered from my childhood. She used to mail out a newsletter that had a list of her latest acquisitions every month. Talking with My (Then) Boyfriend About Books. When my husband and I were dating, we would walk around his old neighborhood together. Very quickly, one of our favorite topics was talking about the books that we loved as kids. A Wrinkle in Time, Homer Price (Remember Ever-So-Much-More-So? ), The Phantom Tollbooth and plenty of others were lovingly discussed. Discovering Abe Books. I don’t even remember how I found this awesome website, but I have purchased many first editions and signed copies of books here. It is ingenious, really; it’s a network of indie bookstores and small booksellers all in one place. I have never been disappointed. Reading Harry Potter for the First Time. My husband had read about the book. We were in the midst of babytime at our house, so I wasn’t reading (or sleeping) much. M was traveling, both to London and South Africa, and somewhere along in there told me about the series. “OK,” I thought. “I’ll give it a go.” At that point, The Prisoner of Azkaban was the most recently published, so I got to devour the first three one right after the other. All of the remaining books were hand-delivered to my house on Release Day from then on. Starting My Blog. In 2005, my husband convinced me that I needed to have an outlet for opinions and comments, so he suggested that I start a blog. They were still pretty few and far between, but WordPress existed, so I made one. It was called IcedTeaSpoon and was so named because I get irritated when I order Iced Tea and I don’t get a long-handled spoon. I decided I would rate restaurants this way. I never did, even though I reserved the domain name for a while. Silly, huh? It wasn’t until 2012 that I turned it into a book blog. Books are so much more interesting than silverware. Attending the Austin Teen Book Festival. This was so much fun, because my daughter and I got to go as press. We interviewed a couple of authors and met a bunch more. It is huge enough to have the likes of Ally Condie, Ally Carter, Libba Bray and other big-name talents, but small enough that you are right there in the action, conversing with your fangirl and fanboy crushes. I can’t wait ’til the next one! Thanks to The Broke and the Bookish for this awesome meme. If you’d like to participate, check out the list of upcoming topics here. You have some great bookish memories. I didn’t possess that memory bookish memories but I participated this week with an alternative edition. I’m probably much, much, much older than you. I think HP made every list out there 😀 Great picks. I think you’re right! It was a seminal moment in the history of writing, books and culture! Yay for BookNerds! I’d join that club for sure.